Usually I don’t do news on this site; there are plenty of sources for it and it simply increases the amount of “noise” for people looking for real information. 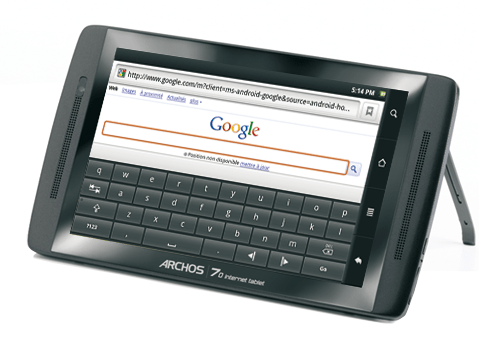 However, the latest releases from Archos look to be the first serious attempts to bring Android tablets to market as a viable consumer product – whilst offering decent spec for the cost (Archos tends to charge for plugins and similar, so the functionality may vary and the cost to reach the same functionality as a competing device could be similar). 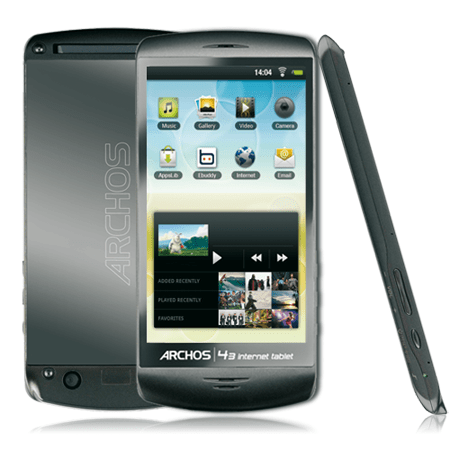 Have the Archos 28, 32, 43, 70 and 101 got the spec, pricing and performance to offer a similar experience to the iPad for Android fans – or even, with Android 2.2 Froyo and Flash support, provide an even richer user experience? 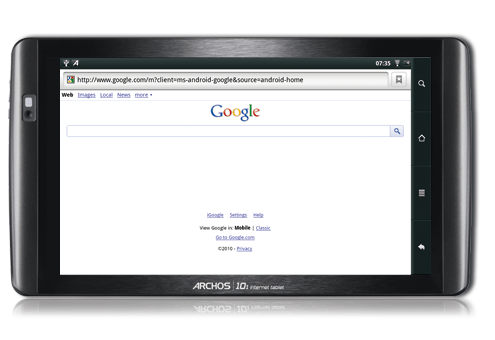 The numbers of the new Archos models refer to the screen dimensions; in this case 2.8″, 3.2″ and 4.3″ for the smaller models. It’s fairly easy to dismiss the compact PMP devices as irrelevant; most people have a mobile phone and specification wise they’re pretty much asking for you to spend another £100 or so on a second device to do what your mobile phone probably already does whilst also being generally perceived as free. Whilst the model may be analogous to the iPhone and iPod Touch, the crucial difference is that no-one else is making iPhones/iPod Touches and Apple have an unassailable control on how the devices are sold; even on contract an iPod Touch offers the iOS device for the same or less money. That’s before we’ve considered the wider market for the iPod Touch as a gaming device or media player. Without the existence of “free on £25/month contract Samsung Galaxy S/Milestone 2/HTC Legend” etc. high-performance Android smartphones, the smaller Archos tablets offer some pretty convincing specifications – £99 for a 4GB and £109 for 8GB in the form of the 2.8″ PMP, with a smartphone beating 800MHz ARM Cortex CPU (not many smartphones of those dimensions carry such processing power) and a high-density 240 x 320 pixel display. Another £20 brings you to the Archos 32, adding not only a 240 x 400 display at a larger size but also Bluetooth and a VGA-res video camera. Finally the 43 comes with a Milestone-esque 480 x 854 display, 1GHz CPU and 2MP camera. With 16GB storage it costs £199; £10 more than an iPod Touch with half the capacity (Apple don’t offer a 16GB Touch). Curiously the 43 seems to make the least sense, as those specifications are so close to the current crop of smartphones that the market for it must be tiny. All have WiFi, naturally, and are running Android 2.2 with some pre-bundled software and Flash support; Archos often limits access to the market (and users often circumvent this ;) ). 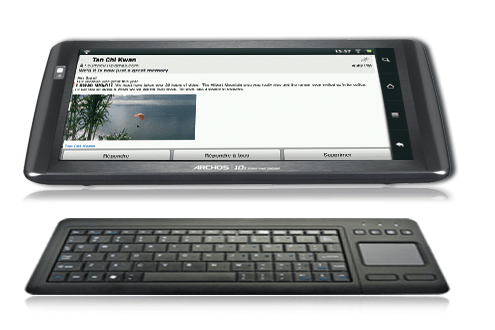 Moving away from the PMP market, Archos’ next entries into the tablet market follow on from the Archos 9 PCTablet (which remains available) and the Archos 7 internet tablet (which is discontinued; the Archos 7 Home Tablet remains on sale). 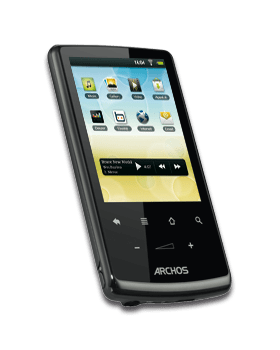 The Archos 70 is an 800 x 480 7″ device with the 1GHz ARM Cortex processor and either 16GB or 250GB of storage, Flash or Hard Disc respectively. Priced at £229 for the solid state model and £269 for the high-capacity device, the 70 is already shaping up to leverage the very usable 7″ form factor and deliver fantastic bang for the buck. The real stunner – potentially of course – is the 480g 101. Well under £300, the 10.1″ tablet comes in 8 and 16GB versions with HDMI output, MicroSD card slot and USB. The screen is 1024 x 600. With a depth of 12mm, the unit has a stainless steel frame. The 16GB model costs £299, undercutting the iPad by a good £130 and 200 grams; the 101 also claims 36hrs music playback and 10 hours web surfing; whilst experiences of Android vs. iOS devices have tended to show Apple claim lower than “maximum” times (most iPad users are finding 11-12 hours of use is typical for a claimed 10) and other manufacturers claim “best case”, given the similarity of the specifications it shouldn’t be hard for similar usage patterns to give similar runtime. The biggest issue is that of multi-tasking, where Android can and does allow true multitasking apps to use resources without the user necessarily being aware.